A Trillion Dollars Wasted, Millions Imprisoned, Freedom Diminished, All For What? Home Be The Change A Trillion Dollars Wasted, Millions Imprisoned, Freedom Diminished, All For What? 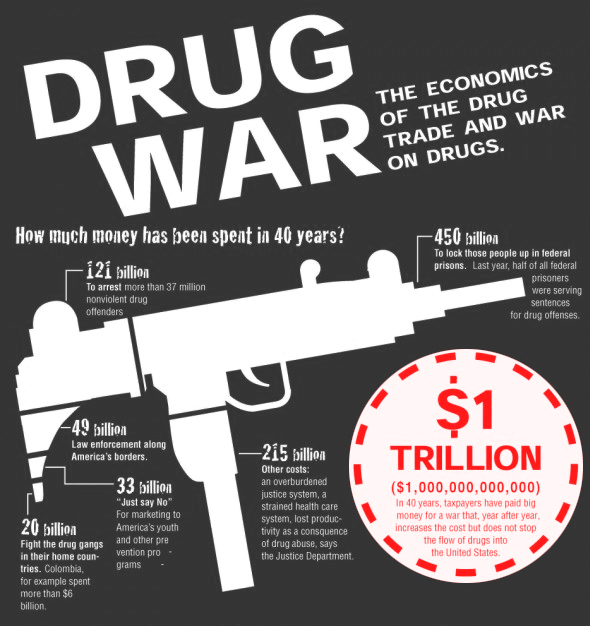 Why is there a global war on drugs? Ethan Nadelmann gives an impassioned and intellectual TED talk about “The War on Drugs,” and proposes a number of ideas of how we can turn the corner to create a more healthy society going forward. “The fact is America really is crazy when it comes to drugs. I mean don’t forget we’re the ones who that thought we could prohibit alcohol, so think about our global drug war not as any sort of rational policy but as the international projection of a domestic psychosis,” says Ethan Nadelmann, founder and Executive Director of the Drug Policy Alliance. Drug Policy reformer Ethan Nadelmann breaks down why America needs to focus on smart regulation of drugs, as opposed to the current failed prohibition policy that disproportionately targets and marginalizes large segments of the population. The failed drug war is damaging the fabric of American society and marginalizing huge sectors of the society, the time has come to create a new paradigm that empowers American society. The time has come for the U.S. to lead a new way forward. Take 15 minutes to see how we can create a better tomorrow by ending the “War on Drugs.” Click on the share buttons below to help others expose the violent and immoral atrocity that is the War on Drugs. The Free Thought Project is planning a worldwide peaceful resistance to the war on drugs, you can follow the progress on the Facebook Page, End the Drug War.